The Buff domestic duck breed is also known as the Orpington duck breed, or the Buff Orpington duck breed. 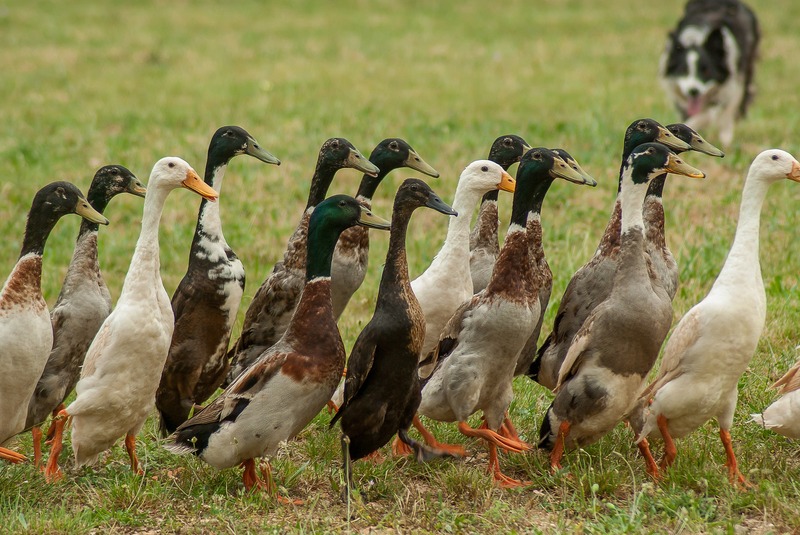 Whatever you decide to call it, this English duck breed is often raised for ornamental purposes and can reach around 8-9 pounds of weight for either duck gender. The Buff duck is known as a dual-purpose breed. This term, much as it is used in the chicken industry, refers to breeds that are good for both duck meat production and duck egg production. The Buff Orpington duck can lay up to 220 eggs annually. While this is less than more egg-intensive layer duck breeds (such as the Muscovy duck breed), this rate of lay is still better than the average duck layer. The Buff Orpington duck breed was originally created by European duck breeder William Cook in the United Kingdom. The Buff duck is a descendant of Blue Orpington duck breeds. The first Buff Orpington duck was presented to the duck breeding world in the late 1800s, shortly before the Muscovy duck was introducted. The Buff duck was first officially recognized and certified as a duck breed in 1914. This breed’s recognition was carried out by the American Poultry Association (APA) and published in the American Poultry Association’s Standard of Perfected as the “Buff Duck” in 1914. The Buff Orpington duck breed is recognized as a “threatened” duck breed by the ALBC. Buff ducks can eat regular duck feed. Buff Orpington ducks are easy to raise and are often raised by duck hobbyists for ornamental purposes. The Buff duck has brown plumage with a darker head. If you wish to brood and hatch Buff Orpington ducks, it takes 28 days to hatch the Buff duck’s eggs. Buff ducks lay tinted eggs, sort of like the Americauna chicken breed. Other information about hatching Buff Orpington duck eggs can be gathered in our hatching duck eggs article. For future reference about the Buff Orpingtons, read: All Breeds of Poultry, Origin: History: Description, Mating and Characteristics, by Frank L. Platt. Published by AMERICAN POULTRY JOURNAL, Chicago, Illinois.